Silva Giant Floor Lamp by CERNO The scale of the lamp gives it a strong presence even in very large spaces, while its distilled form gives it a simplicity that can be seen from across the room. Mokume Vessel by SIEMON & SALAZAR This work draws inspiration from textile patterns and microscopic systems. Traditional methods of Muranese cane making and finish carving techniques are used. Combine your favourite from our extensive selection of colours and styles to create your own creative expression. Adorn yours to create a personalised rendition of your own. Prime Time Chair by GREAT DANE The Prime Time is an easy chair is made for enjoying your best moments. La Tropicale Round Towel by LES ANTILLAISES Inspirée de Madinina, l’ïle aux feurs, elle est consacrée aux beautés que nous offre la terre- mère. Feuilles de bananiers, de palmiers et autres végétaux s’entremêlent pour un motif qui célèbre la flore si luxuriante des Antilles, aux couleurs aussi verdoyantes qu’envoûtantes. Odin Chair by RESIDENT Odin chair started life as a commission for a series of boutique alpine properties in Niseko Japan. Simultaneously humble and striking, the Odin chair was designed to feel like an appropriate mix of both Nordic and Japanese cultures. Creative iron is brand of Igor Kanop from Slovenia, Europe. Igor considers his work first and foremost art and not a trade, each piece of furniture being made as an artwork. Shell Armchair by ESTUDIOBOLA The scale of the lamp gives it a strong presence even in very large spaces, while its distilled form gives it a simplicity that can be seen from across the room. Triny Triny Bar by JETCLASS The geometrical perfection of the Triny Bar design is a glorious moment of inspiration. The minimalist look of this piece can be the decor item you are looking for. The geometrical perfection of the Triny Bar design is a glorious moment of inspiration. The minimalist look of this piece can be the decor item you are looking for. XY Wall Lamp by STEPHANIE DESIGN The timeless elegance of the XY combines form and function to provide a grand centrepiece to any room. With its gold frame, its interconnecting rhombâ&#x20AC;&#x2122;s and soft diffused lighting effect will provide a sense of wonder to those who behold it. Summer Entertainig Get ready for summer entertaining with unique and modern decor pieces featuring stylish patterns and textures that will make every room shine. Whether itâ&#x20AC;&#x2122;s adding a pop of color to a table setting or giving texture and structure to any environment, â&#x20AC;&#x2039;Mozaiko has all the pieces you need to make a statement and elevate your home decor just in time for this summer. Showcasing acrylic charger plates and planters, Mozaiko is an online design boutique specialized in home dĂŠcor products and custom design services, delivering style and elegance through minimalistic expressions. Mozaiko was born out of inspiration taken from ancient Greek mosaiques, hence the brand name. By making stylish pieces that employ color, geometric and fluid forms, Mozaiko strives to inspire all #mozaikolovers out there to create original compositions that accessorize everyday settings with unique designs. Its entire portfolio is carefully crafted with the utmost precision in Florida, using 100% American materials - mostly acrylic - setting them apart from other design boutiques and home decor brands. Make your space feel intimate and welcoming. Let the colors and patterns of your Mozaiko pieces display your style. Accessorize with design. SHADOV The new Shadov chair is the interpreter of the Medusa Versace silhouette, at the center of the home collection. The Medusa profile becomes a real form of sitting. Original, elegant and refined, the Shadov chair is the new Versace Home icon. Le Jardin de Versace As in the summer dream, the Jardin de Versace is the new version of Versace Home that gives an entire line of furniture for living, dining and sleeping area. A hymn to nature with intense and gorgeous colors. In the center a pattern of butterflies surrounded by golden flowers and arabesques. There are no edges, only lines and curves. Shades of blue and pink accented with gold and cool gray accents that give aristocratic atmosphere to the decor. The butterflies themselves have a symbolic meaning: the one in Blue is a symbol of approval and conviction; the Yellow is an expression of love and in the Chinese mythology, seeing a yellow butterfly means being happy; at the end the Purple represents spirituality. At the center of the collection, the new Le Jardin sofa realized of RubelliÂŽ jacquard fabric, made in limited edition of only 12 pieces and signed by Donatella Versace. CREATIVE DESIGN by Philipp Aduatz Designer Philipp Aduatz creates limited edition functional objects that are highly sculptural in nature. Working with innovative materials and fabrication technologies, Aduatz is very much influenced by scientific matters such as chemistry, physics and material technologies. His process combines traditional craft concepts and techniques with cutting edge implements. Philipp AduatzÂ´ intention in the design of the Melting Chair is to capture a transient transformation within a sculptural object. The Melting Chair, which is suitable for use, is carefully crafted to appear to the viewer either as a solid chair melting away or as a solidification of a liquid melt. To create a realistic illusion, Aduatz studied the solidification of fluids as well as the melting of solids with modern 3D animation software. With this background, he designed the surface of the object down to the smallest detail - like an architect plans a huge skyscraper. Through form studies with CNC milled polystyrene models and rapid prototyping he ensured a perfect geometry. The final object is made out of a fiberglass reinforced polymer, a light and strong composite material that is very durable. The surface is coated with a special mirror coating for a metallic appearance. A special clear lacquer is used to protect the mirror coating from aging and makes the surface of the Melting Chair scratch resistant. The idea of the Polymorph Chair is to unify contrary design concepts in a single shape. In the ancient greek language “poly” means “many” and “morphé” stands for “shape”. The term “Polymorph” in this context refers to a design that is composed out of multiple concepts differing in their design vocabulary but yet fusing together into a unified single shape of a chair. The concept for the design is based on research in design history, when reviewing the different languages of form over time, there are two basic ideas recognizable: Minimalist, linear and functional shapes on one hand, and organic and spherical forms inspired by nature on the other hand. These concepts seem to be competing with and alternating to each other. An iconoclastic furniture by CLASTE The work expresses an imaginative and refined simplicity with an unrelenting attention to detail. By combining an in-depth knowledge of traditional techniques of craftsmanship and artistry with a desire to push the boundaries of what is possible, Claste has created a collection which blends the familiar with the extraordinary and stands at the crossroads of art and design, timelessness and modernity. Claste works closely with the finest artisans at all stages of the development process. Every step from design conception to finishing is analyzed and refined ensuring that all their work is infused with a unique expression of ingenuity and permanence. Curating and Collecting Claste pieces is as much a statement about the power of the object as it is an expression of the space around it. frica’s premier décor, design and lifestyle exhibition will unravel the best of 2017’s colours and trends across seven exhibition halls at the Gallagher Convention Centre with the arrival of Decorex Joburg, taking place from 9 to 13 August. This is the Decorex SA flagship exhibition which sees over 750 unique exhibitors sprawled over 22 000 square metres offering everything from re-purposed much-loved items to lust-inducing modern innovations, as well as a range of demonstrations and installations. Co-sponsored by Plascon and Caesarstone, Decorex Joburg has become an integral feature on the décor and design calendar for more than two decades with leaders in this vast arena converging to discuss and exchange ideas, products and skills. Expertly connected with this year’s ‘Make your space your living dream’ theme, exhibitors will use the Decorex Joburg platform to empower the public on 2017’s best trends, among them the Black on Black, Urban Jungle and Tactility Trends. The latest kitchenware products styled to enhance everyday living will be on display in some of the most beautifullycrafted kitchen settings at the Franke â&#x20AC;&#x2DC;Simplicity in Designâ&#x20AC;&#x2122; Kitchen Design Project. And, at the Builders DIY Theatre, visitors will get to engage with DIY specialists providing really useful tips for home renovation and landscaping. Decorex Joburg is also chosen as the platform for the announcement of the highlyanticipated Plascon Colour Forecast, so visitors will get a really worthwhile insight into the colours that will dominate the dĂŠcor and design landscape in 2018. Alongside the latest features and exhibitor stands there will be a variety of on-the-go eateries, sit-down restaurants, classic wine bars and craft beer stalls giving visitors a chance to relax and take in the various products while enjoying bite to eat or refreshing drink. Crested on a steep site, ARRCCâ&#x20AC;&#x2122;s latest architectural design boasts striking city views. Designed as an iconic family home, with modern natural design direction, the villa is an interplay of rectangular forms, perpendicularly opposed with cantilevered concrete elements to create a powerful and sculptural composition. The organically shaped pool forms a sharp contrast against these rigid shapes, and shows off the magnificent views. A white, geometrically shaped screen installed on the exterior of the upper level, adds patterned textures to the exterior. The entrance cube is enclosed by a custom-designed, fragmented brass front door which floats framelessly between glass panels on either side. The lobby inside is masked by off-shutter concrete walls, set against a doublevolume matt black steel and bronze screen which surrounds the staircase leading up to the main living level. The ground floor comprises a Bulthaup kitchen, dining area and a formal lounge area with sliding pocket doors opening up to reveal both the front and back views of the house so that each space can open and connect with the adjoining areas. Out the front, the large sliding doors open onto lush landscaping, creating a Zen garden feel, which surrounds an infinity pool and Jacuzzi. Next to the pool is the sunken entertainment area. Above this, a floating concrete box provides a neat overhang for shade protection, while incorporating a sky light to sculpt the natural light. The first floor accommodates three double bedrooms as well as the main master bedroom. All of the bedrooms boast unrivalled views of the city and the mountain with the three double rooms featuring en-suite bathrooms enclosed within a glass box, providing privacy while not obstructing the views. The master bedroom has an open-plan bathroom layout with a featured freestanding bath and a large, glass encased shower overlooking the city. The monochromatic palette of the rooms is offset against the imported Espresso Italian wardrobes within each, adding a layer of understated richness. Two or three mornings a week all year round come rain, hail or shine at 6.40am, I enter the Castle Haven Track in Castlecrag, Sydney, Australia. The track is a steep 450 metre dirt track connected underfoot in places by handcrafted Sydney sandstone steps, framed by local forests of dry Australian eucalyptus trees and a lush green undergrowth. I often disturb Australian sulphur crested cockatoos, native bush turkeys and their tormentors, the local domestic dogs, looking for an early morning meal as I descend onto the foreshore of Castle Haven Inlet, a small sheltered inlet in Sailors Bay, Middle Harbour, Sydney. It is here, secured by chain and rope to foreshore trees, I moor my second-hand sea kayak bought cheaply off eBay in a moment of desperation. visual gold – every artist’s dream! I uploaded my initial shots of these natural images of abstraction taken on an iPhone on Facebook and was astonished by their immediate glowing responses of my peers. Later, as a broader public viewed the art in exhibitions, the description of what the work was conveying became clearer. It was not about the graphic content. It was about the felt experience – the emotion the works conveyed. Viewers used words such as beautiful, calming, meditative, peaceful, relaxing serene, - not words I would have used to describe the content of the images. Yet they are the experiences I feel when I am kayaking taking the shots. That nature has served up abstract images that speak to people that way is beyond artistic practice or contrivance. These images are documentary. They are what I see and experience when I am kayaking and to know people experience those feelings when viewing and describing the images, I am honoured and thrilled. This feedback about the images’ content and its affect on the viewer was profound. I began to see the work in a very different light. Sure, I photograph the images. Yet, it is the viewer that is making the meaning of the work and not me the photographer. I amonly channelling nature’s supreme beauty. images are not photo-shopped or digitally enhanced in any way. What the viewer sees is the abstraction in its raw natural state. I crop and straighten just to give the image a shape, nothing more. Each artwork is printed using water based ink jet printers on 310gsm Canson Edition Etching Rag, an archival museum quality paper with a life expectancy of 200 years. Etching rag has its genesis in a 500 year old paper processing technique invented for and used by the Renaissance water colourists. The paper has a slight pixilation very much like the original paper itself. The use of water based inks in the printing of the image mimics the output of the original printing presses of those times. So my digital work uses a 500 year old analogue technology â&#x20AC;&#x201C; water based ink on paper. There are no dots or pixels, ones or zeros, only representations of images in nature built on old fashion binary driven waves of water and light. the pictures. Indeed, it was through the influence of the modern art masters on my own art practice that these abstractions in nature revealed themselves to me. Or maybe, it is the modern masters who saw these colours, forms and shapes in nature to commence and it is I, borrowing from their legacies, who is re-interpreting their works and influence, using a 21st Century mode - the digital camera. This is what makes my work and life as an artist endlessly enthralling, enjoyable and compelling – the positive human interaction about how we perceive the world so differently yet how we can find joy and connection in the differences an image conveys. My only hope is the artwork, regardless of its influences, encourages and facilitates endless pleasurable aesthetic meditation and peaceful connection. BOCA DO LOBO In the Lusitano Corner A fascinating and memorable creation, the Lusitano Corner, by Pepe Leal, gathering more than twenty of the most distinguished Luxury Furniture Portuguese Brands in Madrid. Spanish Interior Designer Pepe Leal carefully selected Portuguese historic and significant materials so that he would be able to reflect perfectly the Portuguese culture and the kind of furniture that has been made in Portugal. Boca do Lobo emotional pieces are handmade in Portugal by talented artisans who use their wisdom from years of experience to combine traditional manufacturing techniques with the latest technological methods, shaping the most refined materials into furniture which gives rise to timeless and cosmopolitan luxury interiors. In this project all luxury furniture pieces were flawlessly selected, among them you can find: Eden Center Table, Tiffany Stool and Heritage Sideboard. Hand-painted-tiles have gained a privileged place in architecture throughout the centuries. Portugal has adopted them like no other country has and in order to honor the Portuguese hand painted tiles. From the ceilings, passing through the walls and floor, until the dĂŠcor itself, each and every detail came from Portugal in the creation of the Lusitano Corner, Pepe LealÂ´s most recent design project. 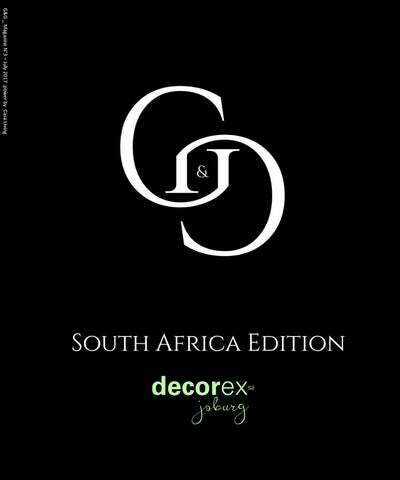 What is the purpose or the mission of Decorex SA towards advancing the interior design industry in South Africa? Décor District. The effective ‘black on black’ trend will be evidenced at the Noir Restaurant + Bar presented by Bavaria. Exciting kitchen trends, among them ultra-matt finishes, earthy, neutral tones as well as the introduction of brass, steel and concrete in the kitchen will be found in the Franke Kitchen Design Project. The antique designs, marble finishes and predominance of showers will come through in the bathroom trends. ❖ What are the advantages of being a part of the Decorex exhibition? This well-run event is the premiere décor, design and lifestyle exhibition in Africa, attracting thousands of local and international visitors, many of whom are active in the trade industry and looking to source quality products and services. In addition to the massive on-day exposure where exhibitors get direct market access, exhibitors benefit from the ongoing media exposure created pre- and post-event in the print on online publications. There are also the added benefits of networking with other industry players. â?&#x2013; What comments/advice do you have for upcoming professionals in this industry in relation to professional growth? Take advantage of all networking opportunities such as Decorex Joburg, as these provide businesses with real-world insights into what the market wants, and what competitors have to offer. The Art of the Fresco Like behind everything, even the production of a fresco has its own history. It is not enough to see the work finished but it is necessary to understand all actions that are the basis of the work of a fresco. At first, it needs to clarify what it means a "fresco". A fresco is an artistic product that boasts a thousand-year old tradition and that does not know and cannot know mass production methods. Therefore, each fresco has an ancient history that should never be forgotten and that increases the exclusive and prestigious value of the product. Mariani, art technician at Mariani Affreschi, explains this technique to us. “After creating the fresco and waiting for the painted plaster to dry completely, a canvas is glued onto the latter and then “stripped” from the wall. In this way, a canvas is obtained on which remains stuck a “negative” version of the painting. The next stage is called the “retrieval” phase and involves transferring the “positive” of the painting. A second canvas is glued to the back of the stripped canvas, the first glue is dissolved, and the first fresco is detached. In this way, the fresco remains transferred onto the second one”. But nowadays there are also many fake, but thanks to some clue we can distinguish the true fresco from the false one. Certainly an expert can see them with naked eye. The characteristic that can be noticed right away is the color: generally in a fake fresco the colors are less natural, but the observer must have an actual comparison. The differences can be seen, nevertheless, over time: the false fresco is not very resistant to factors such as light, humidity, water, atmospheric agents, and the colour loses substance. At times, even in excessive climate conditions, the colour may detach from the canvas. Mariani Affreschi is one of the few companies that today still realizes the.“hand-painted” authentic frescoes. This feature makes us stand out from the mass, allowing us to be identified as a leading company in a specific market niche that we know very well. Indeedb the firms gives to their customers an authentic product with all the relative advantages: beauty, resistance, authenticity. What’s more, the chemical reactions that occur during the creation of a real fresco (such as carbonatation of the colour) give the colours a soft and natural nuance which is incomparable, and makes them extremely resistant over time. The Argentine capital will have in 2018 a new hotel, near the city center, with all the comfort that the client deserves for some perfect vacations. Many details are still unknown but Essential Home and DelightFULL were the two brands chosen to decorate this new project in Buenos Aires. 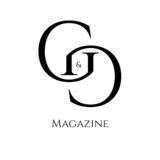 These two brands are characterized by a mid-century modern style that comes perfectly together in this project, creating a sumptuous interior design full of eyecatching appointments. The luxurious ambiance is reached by a careful and well thought out combination of all the design elements, from the colors to the materials chosen. For this project, the color scheme chosen is based in the nature colors like the green, blue and mustard, as we can find in the surroundings. The idea was to create a balance between the outside and the inside of the hotel, giving to the client all the conditions to relax. The appointments in gold give the sense of luxury that the hotel has. Magical world for Kids The world of children is simply an array of fantasies. This extends from the superheroes characters fairy godmothers to little princesses. Design industry is majorly involved in the realization of this dream. The dream is to allow children to dream their own dreams and to really give them space to be and live their fantasies and magical world. Circu was built under this dream! Circu is a Portugal based design company that has realized this fantasia gap in the design industry and has decided to provide a solution. They have a magical furniture for kids the rocky rocket armchair, fantasy air balloon bed and sofa, the bun van bed and room, the desirable mermaid bed, sky plane beds, sky desk, sky bookcase, sky drawers, cloud lamps, magical mirrors, the Teepee rooms, beds and playgrounds just to site a few. With beyond doubt they have brought fantasies to reality. A desirable webbed network with proper substantial knowledge of the magical world for kids will enable a design firm to meet kid’s expectation of products offered. Profound knowledge of the kid’s world is an important key factor of any designer in the magical world for kid’s portfolio. A HAPPY CHILD IS A HEALTHY CHILD! Magical furniture for kids i.e. as the examples given above should be in capacity to capture a kidâ&#x20AC;&#x2122;s attention. The furniture should be able to immerse them to the reality of their fantasy. They will act as public imaginary world of childhood. The visual of a physical representation of their fantastic world will not only link them to their fantasy but also they will get to enjoy the natural territory of childhood and embrace it. The fantasy books they read and films they watch will only be a tip of an iceberg of childrenâ&#x20AC;&#x2122;s imaginary world, furnishing it will be the real deal. Sedacor presents the new innovative corkfabric brand, Corkâ&#x20AC;&#x2122;n Roll. With Corkâ&#x20AC;&#x2122;n Roll brand, you can find a wide range of natural cork leather/ fabric solutions for endless applications. Using a long experience in cork manufacturing and new technologies, we open new fields for industries like interior decoration, textiles, fashion (footwear, bags and accessories), tranports, graphics arts, packaging and what ever else you can imagine. Corkâ&#x20AC;&#x2122;s natural features are legendary light, with a unique touch, flexible, sound and thermal insulation... are now reinforced in Corkâ&#x20AC;&#x2122;n Roll products with new advantages: abrasion, mechanical, stain, dirt, stitching, water resistances and unlimited design possibilities, just waiting for your ideas! the best prints for your walls SILVER STUDIES by Wallpaper Projects. The design studio specializing in the production and installation of customâ&#x20AC;&#x201C;made, custom-fit, high-end, selfadhesive wallpaper and fabric material wall coverings helps you choose the best fantasies for your space. the best pillows for your sofa Pillows by ARCHIVE NY is the ideal complement for each sofa. Amira Marion, the founder, found a natural direction thanks to her love for textiles. She interprets Guatemalan traditional motifs and weaving methods for her collection: Archive New York. the best accessories for your home ORION collection by OOUMM opens new perspectives in the use of marble. With mechanical like harmony, its thin pieces of marble are meticulously set around a central element. Their shape highlights the fragility of the material and create a sutil contrast of light and shadows around the object. According to the angle we take to look at it, the marble pieces hide or reveal some parts ofthe capsule in the center. When looked at from the top, Orion appears as a celestial body surrounded by marble rays. The Lodge House was projected by Thomas Gouws Architects and designed as 1 of 6 show houses for the Developers of Serengeti Golf & Wildlife Estate to illustrate the luxurious lifestyle the Estate has to offer. It has a distinctive contemporary lodge feel and was designed to fan out towards the expansive views. In the design of the house, 'view' and the experience thereof are used as main form giving concepts. On plan the house fans out from the point of entry towards the expansive views of the golf course, dam and future forest plantation. The full-length lap pool extend one's view from the entrance foyer into the landscape. Walls are articulated as free standing elements defined by contrasting textures. Earthy textures and colors dominates throughout, connecting house with landscape. Frameless glass is used for unobstructed views and seamless transitions between indoors and outdoors. The house is divided into two wings; and entertainment / living wing and a bedroom wing. The entertainment / living wing is largely double volume and houses the lounge, dining, tv room and study areas. The kitchen and its amenities are inserted as a floating timber box into the living area. Its bright red interior is used as focal point to contrast against the otherwise natural palette, and emphasizes its function as both center point and connection element between the separate living areas. Three chimneys serve as support structure for the roof of the entertainment / living areas. The bedroom wing consist of five ensuite bedrooms, all with walk-in dressers. The two Main Suites feature state of the art bathrooms complete with outdoor showers, outdoor decks and magnificent views. Red is repeated as focal color in these two bathrooms. The interior furnishing, in keeping with the modernist interpretation of the architecture, are restricted to minimalist but striking pieces. The light colored neutral colour scheme compliments the darker earthy colours of the house and the retro-style furniture adds a stylish playfulness to the setting. Pieces were chosen for their comfort, design, colors and textures. Striking artworks in black and white by artist Antoinette Mitchell provide graphic yet subtle contrast to their earthy and dark wall colours. What do you mean with “eco” ? Eco means respectful… about the best house in the world. Arka Koniecznego (eng. Konieczny’s Ark) by polish architect Robert Konieczny received Wallpaper design award for the best new private house project of 2016. This extraordinary project was appreciated not only for its modern look, but also innovative approach. The simple form of the building fits into the environment and, what is more important, exploit with the respect all the good of the nature. By using large areas of glass we are gaining a possibility to take an advantage of the natural light (and enjoying an amazing view). Raised and slightly shifted construction is providing safety, protects building from landslide and also allows the rain water to float freely on the hill slope. The optimal solution is also to insulate the building from the inside by usinig polyurethane foam, which is creating an amazing effect inside. Later the Ark became also a favorite place for the animals living on nearby pastures! Eco means green...about the city forest. While urbanization is absorbing more and more green areas, many of contemporary designers are redirecting their way of thinking, trying to find a new way to apply in their projects a little bit of life-essential greenery. This is not the first time we can speak about architect Stefano Boerio in the context of pro-ecological solution. He is already a ‘father’ of two vertical forests projects based in Milan and Lausanne. As it occured to be a sustainable solution for the high-density urban areas, now we can follow up the third architectural try placed in in the centre of Nanjing. Over 1.000 trees, 2.500 cascading plants placed on the fasade of a new construction are going to produce a oxygen and reduce the amount of pollution. The two towers (108 and 200 meters) are going to play an important part in city live (containing museum, shopping mall, hotel etc.) are allowing the citizens to have a contact with the nature and increasing standard of their life by upgrading the quality of air! The Vertical Forest is a new architectural concept to live! and aiming to create the life-longing furnitures. Considered design is giving a chance to reduce the use of the material and energy, and in consequence decrese waste products. But Green Furniture Concept team never rests on laurels! As rules of Nordic ecolabel are not enough for these ecolovers, they decided to set up a new rule - grow up one new tree in order to “make amends” for every plant they would use during the production process...that is the spirit! ...it means also technology. How to make eco concept closer to every human life? How to encourage all of use to have its own contribution? Looks like Smartflower team, based in Austria, was trying to answer these questions by creating a project of the extraordinary... solar panel, easy to use like our domestic appliances! While it seems to be obvious to imagine a solar panels as not-so-attractive square piece attached to the roof of the building, Smartflower went out of the row to surprise everyone. The shape of flower can be a pride of the garden, but has also a practical explanation â&#x20AC;&#x201C; as the first sunlight is coming out the panels are opening and, according to a sun movement during the day, are able to change their position of 360 degrees. In this way it is absorbing the maximum of the sunlight during the day, are able to change their position of 360 degrees. In this way it is absorbing Smartflower is the part of the family! the maximum of the sunlight during the day and giving you to chance to produce 40% more energy. But this is not the end...the Smartflower Pop-e is bringing us one step forward electrical one. This big city charger, placed in the strategic city spots, is dedicated to charge electric cars or bikes. Easier access to the energy storage can encourage more people to change their traditional means of transport to the electrical one. CREATE YOUR PERFECT SPACE WITH EVREN YIGIT ARCHITECTS Evren Yigit Architects is an independent architecture firm that is committed to excellence in architecture, founded by Evren Yiğit in 2015, located in Ankara. Evren Yigit Architects presents its clients with current, magnificent and timeless architecture. Since 2005 (Evren Yiğit was cofounder and partner in Turuncu Architecture Co. then), Evren Yiğit Architects has provided complete architectural services for a wide range of local and international clients. Evren Yigit Architects has a wide range of projects, from large scale buildings to interiors. Evren Yigit Architects has completed these various projects including institutional, residential and hospitality buildings throughout Turkey and abroad including Iraq, Afghanistan, Romania, Kyrgyzstan and Syria. This broad range of project experience adds to the quality service Evren Yigit Architects provides. This quality service helps it maintain professional relationship established with companyâ&#x20AC;&#x2122;s clients. accessories are made in the portal. The material has become fundamental to Adamantx® it is possible to propose forms that until recently were completely unthinkable. The qualitative level is very high, for this skilled craftsmen spend a lot of time working and lacquering each model. Each item is customizable to give you the choice of size and color to suit your needs and tastes. How to collaborate with Zad Italy? In the website under the DESIGNERS section you can find currently more than 70 professionals, who work weekly with our portal. This number is steadily increasing due to the ability of Zad Italia to create an interesting collaboration both from the image point of view and from the economic point of view. Every day designers, architects and design professionals send to Zad Italy team proposals with Adamantx® material, then the staff analyzes design, executive feasibility and business appearance. If the proposal is accepted, the project will put on sales circuits internationally. Choose your type and let Casa Living it. iconic FAB fridge by Smeg in 50’s style series made with Multicolor Special Edition Design; Direttore Shelves by Moooi (design – Paul Cocksedge, 2016) which combines Mondrian’s motifs and Ettore Sottsass geometry. A unique synthesis of architecture and design, a very special combination of industrial charm and timeless elegance – were revealed in style of so-called tubular furniture. Marcel Breuer designed his first tubular metal chair B3 (in 1925) with using of the innovative material which was inspired by his recently bought Adler bicycle. Clear lines, simple organic-like fluid shapes, a unique dynamics and significant character of modern architecture declared by Bauhaus – were typical for this design concept. B3 or Wassily Chair (1925-1927) by Marcel Breuer is one of the most famous objects created in this style manner, and as we know he defined his designs “as essential equipment for modern living”. Tubular steel furniture became the second constant of Thonet’s history. Today, numerous of iconic models are still in the product line of this brand – among them we can see the exclusive collections which include the designs by Marc Stam, Marcel Breuer, Ludwig Mies van der Rohe and others. And tubular steel furniture concept is still reveals a timeless “classics” of any modern interior. unmistakable combination of function, universality of using and compositional simplicity. Componibili storage was displayed in Museum of Modern Art in New York and at the Centre George Pompidou in Paris. In 2017 Componibili celebrates its 50th anniversary, and there was an exhibition “Tribute to Componibili. 50th Anniversary” (Milan, 2017) where Kartell presented fifteen signature pieces designed by famous designers all over the world (Piero Lissoni, Mario Bellini, Antonio Citterio, Alessandro Mendini, Ron Arad, Tokujin Yoshioka and others). So, we could see the most interesting versions of Componibili design.